Happy Thursday, y'all! Yesterday, I left my house (to go somewhere besides down the street to sled) for the first time since Friday! For me, this is a pretty big deal. I am typically always on the go taking my kids to school, going to the YMCA, running errands, shopping, grabbing lunch, or going to work. Slowly down and just enjoying time at home is definitely a good thing. But my kids haven't been to school all week and we definitely were feeling the cabin fever! So where else would we go except for Target for coffee, popcorn, and icees! It was good for everyone involved. I'm headed back to work today for the shortest work week ever (1 day and I'm leaving early to go to an event) and the girls are finally back at school. 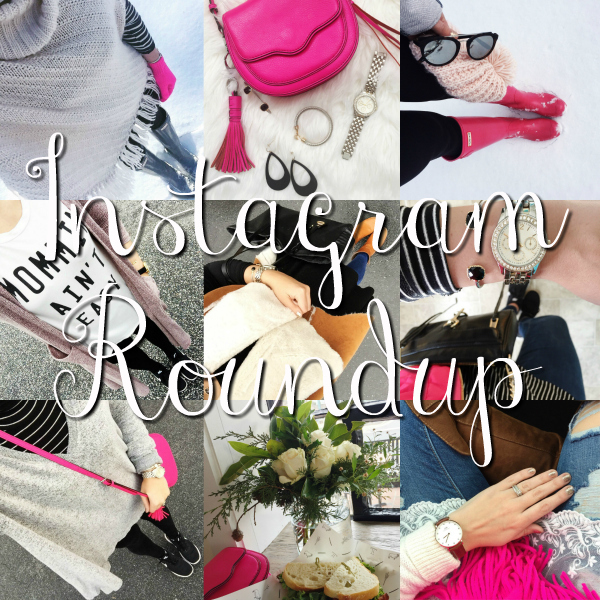 Today, I am sharing my weekly Instagram Roundup. Be sure to check out my post from earlier this week when I styled the perfect shawl vest, got cozy in a double hooded sweatshirt, and found the top that will become your new best friend! Tomorrow, I'll be sharing nine items that I am currently loving so come back to check that out as well. Happy Thursday and Happy Birthday to my best friend, Pam! 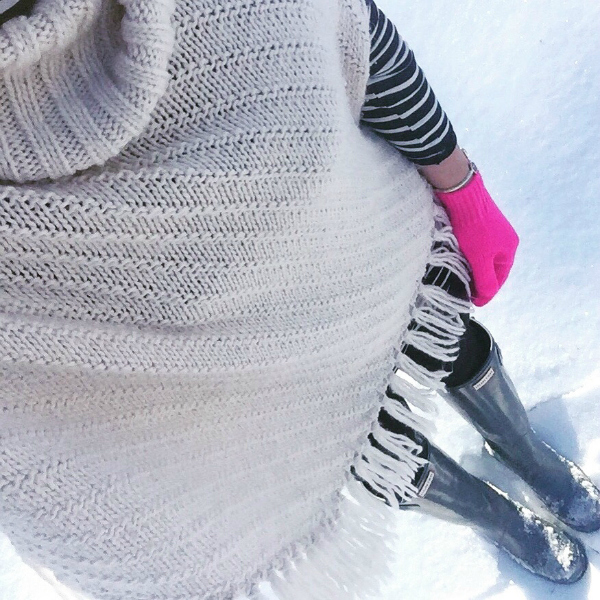 A poncho is the perfect layering piece this time of year! I'm not a fan of coats but I love throwing on a poncho. Mine is sold out but I linked a super similar one at a great price! My earrings are from Nickel & Suede and I literally wear a pair of their earrings almost every single day. They are so lightweight and comfortable to wear! My bag is from last year but I linked the color that's currently available as well as a look for less bag! 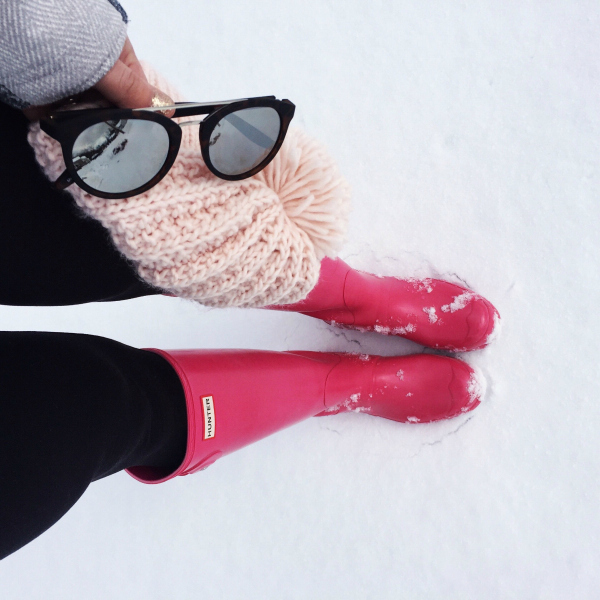 My winter weather essentials: Hunter boots, leggings, a beanie, and cute sunnies! 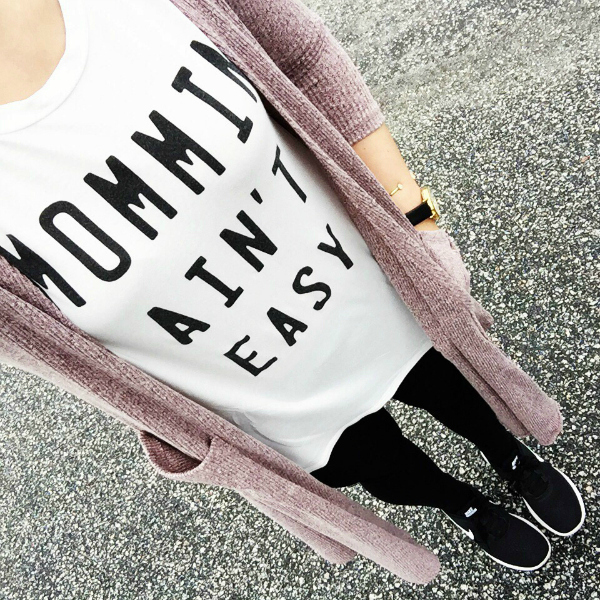 Mommin' ain't easy and that's the truth! My tee is sold out from BohoBlu but you can get anything from their site for 10% off with my code STYLEANDGRACE. 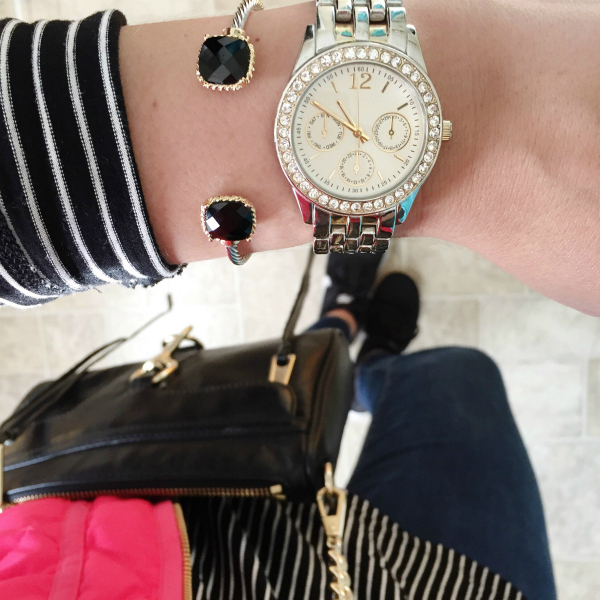 You can also get my watch for 10% off with the code EMILYSOTO10 at Wristology Watches! Also, this cozy cardigan is from Jenna Green of Lularoe! 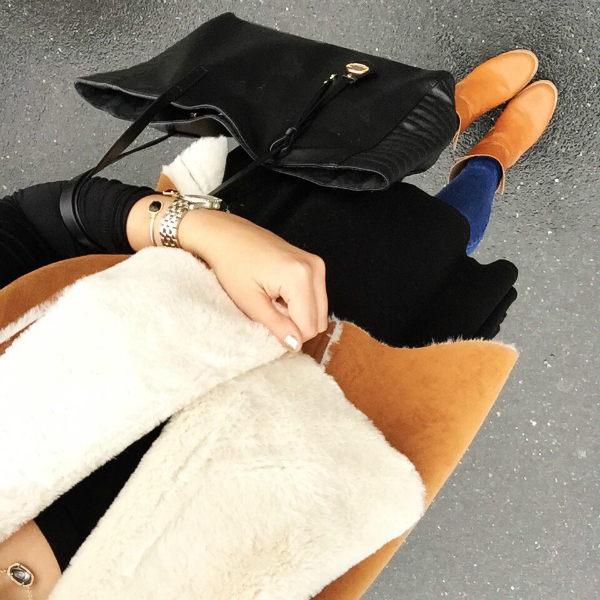 As much as I LOVE color, I also really love an all neutral outfit. This one kind of happened by accident when I was having one of those "I can't find anything to wear" kind of mornings. 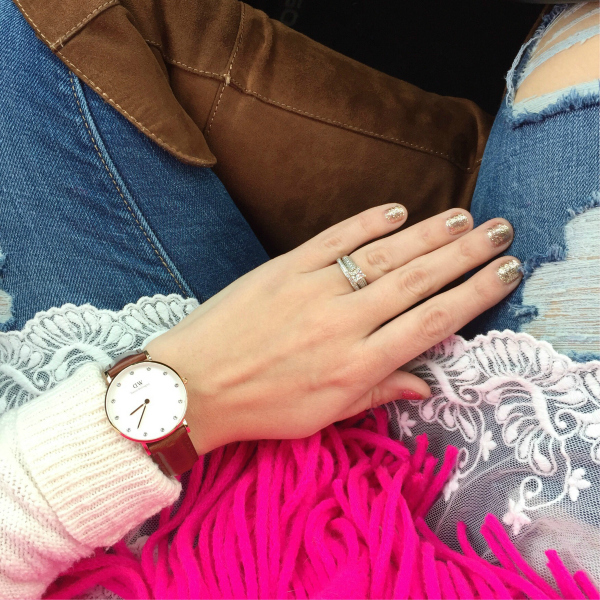 This bracelet is my current favorite and it's only $12! 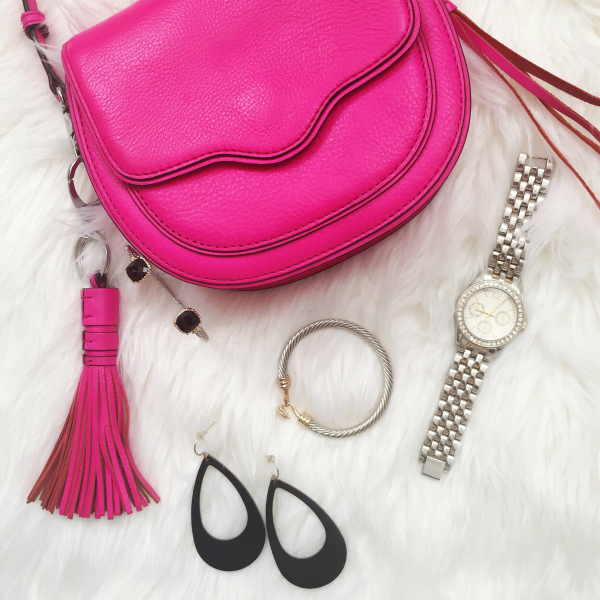 The black stone match so much of my wardrobe... because after looking through this roundup, I obviously love black and pink. Comfortable and casual is pretty much my everyday. These shoes are literally the most comfortable pair that I have every worn! 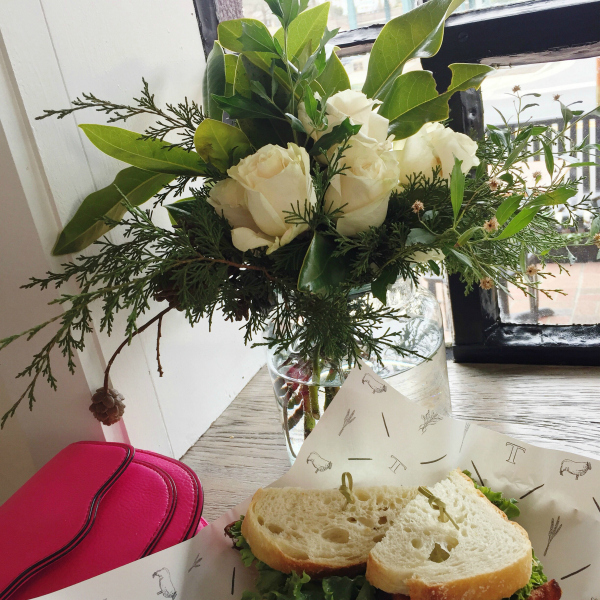 I love grabbing lunch at my favorite spot and I love it even more when they have gorgeous flowers on the table! Flowers just make me happy. This glitter polish from Kendra Scott is literally amazing! This photo was taken exactly a week after I painted my nails. Also, you can get my watch for 15% off with the code SOTO15! These are my favorite posts! So many great looks girl!